Nancy Holson is a writer, director and producer whose career spans the worlds of commercial live theater, corporate theater, and television. LUDWIG LIVE! is currently in production and playing in cities throughout the USA. A comedy featuring Beethoven making his cabaret debut, the show premiered in the Berkshires in the summer of 2011 and has gone onto run at the Kimmel Center in Philadelphia and the Triad in New York City. A national tour is scheduled for the fall of 2012. THE NEWS IN REVUE is Nancy Holson’s longest running show. 2010 marked its 18th year of production with a six month run at the Queens Theater in the Park. A second troupe spent the fall touring the East Coast. THE NEWS IN REVUE was originally produced Off Broadway in 1992 and has subsequently run in myriad venues across the country including 15 summers in the Berkshires of Massachusetts. Other venues in which the show has resided for at least a season include the Hollywood Playhouse, the Coconut Grove Playhouse, the Hyatt Regency Sarasota in Florida, the Sonnenalp Resort in Vail, Colorado and eight years of weekend performances in Greenwich and Westport, CT. The show has played in locations as diverse as Chauatauqua Institution, The Kennedy Library, and Grand Central Station. Nancy’s company, Holson Productions, continues to produce the show with Nancy as the sole writer and often as director. The show has won five Emmy Awards for its series of PBS specials, two of which were for Nancy’s writing, and has been featured on National Public Radio. Her work has been performed for one former president, several assorted senators, and a host of as-of-yet-unindicted politicians. Nancy created and produced PARENTING 101: A Musical Guide to Raising Parents which she co-wrote with Jay Falzone and co-produced with Susan Holson as Sisterone Productions. Sisterone guided the show through a series of workshop productions in the Berkshires and then through a developmental production which ran for six weeks in Burlington, VT. Productions followed at the DCT in Rochester, NY, the West Port Playhouse in St. Louis, MO, and two extended runs at the Kimmel Center in Philadelphia, where it consistently played to rave reviews. Productions in additional cities are in the works. 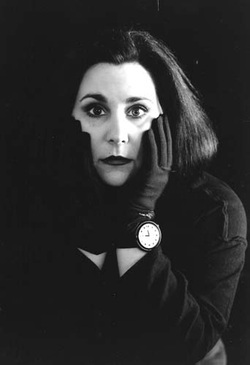 Nancy wrote, produced, and co-directed the critically acclaimed Off Broadway show, BUSH WARS which ran at The Actors Playhouse. Variety raved “Excellent! So smart and so surprising! Deserves to be compared to timelessly effective works like "Oh What A Lovely War." while the New York Times said “Broad, roaring entertainment reminiscent of NATIONAL LAMPOON! An altogether charming 90-minute show with scenes that propel the evening to heights of helpless mania." Although BUSH WARS was not a financial success, Nancy takes full credit for the total repudiation of the Bush administration, the subsequent disarray of the Republican party and the election of Barack Obama as president. Nancy is the producer of CAN I REALLY DATE A GUY WHO WEARS A YARMULKE?, which garnered top honors at 2010’s Midtown International Theater Festival and was invited to be the inaugural play to run at the famed Knitting Factory in Brooklyn. Productions have followed in Delaware, Toronto and Jerusalem. Nancy is currently at work with her longtime collaborator Jay Falzone, on a new project entitled DEAR MOM, a play which is inspired by real letters to mothers from their daughters. Other projects in the works include NUTCRACKER! The Musical, a musical comedy based on the original tale by E.T.A Hoffman and featuring music by Tchaikovsky and arrangements by Bruce Kiesling. She is also developing several cable television projects.